.hack//Legend of the Twilight: Kawaii, yes? 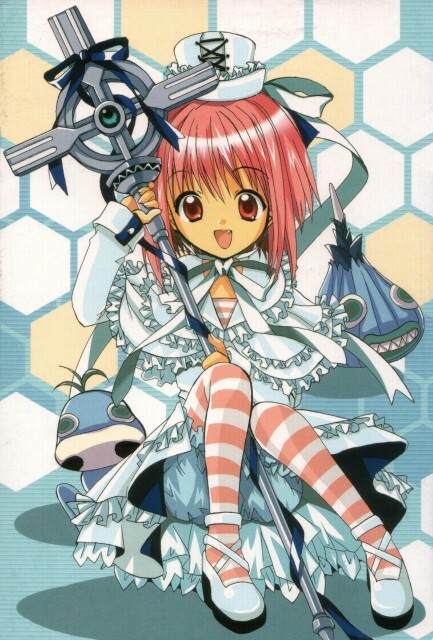 Minitokyo »	.hack//Legend of the Twilight Scans » .hack//Legend of the Twilight: Kawaii, yes? Now this is too much, she's so sweet, how can this be possible? I need to get the anime, now!! How cuute!^-^ I didn't know this was .hack until I looked at the top and then noticed the blue Grunty XD I hope there's a manga version for this arc...whatever it is...Maybe it's just me, but isn't this...Mireille in variation clothing?! 0_0 Looks a lot like her XD In fact, I'm positive! OMG OMG omg!!! where DID YOU GET this!??!?!?! i"ve BEAN looking FOR THIS FOR A LONG time!!! OMG! This is just too cute! She's soooooooooooooo lovely! awwwwwwww! Thank you, thank you, valary. This will definetly make a great add to my scan collection. THanks for posting all this awesome scans. wow so cute ^^ nice scan ....... i like her cloth , it is so great . ahaha nice, she so adorable... a cute anime version from the original hack eh? Hey isn't she Mirielle from .hack/twilight bracelet? Aww she's adorable! ^.^ Gotta love Mirreille-chan! This scan is so cute! I love her highly detailed outfit and little accessories. She looks so much cuter here than she ever did in the original videogame, hehe. Thanks for posting this! mireille/mireiyu is the best of that series! she's so cute, but also strong - and i like her weakness for collecting stuff! thx for sharing! really kawaii! thanks for the scan!